One con I can think of is that they may take a while to respond to e-mails. That may just be my experience though. When they do respond however, they're excellent and will always take care of the customer. I believe they do receive their stock slightly later, but it's worth it if I'm saving money, imo. They do have that international shipping discount on their front page until midnight tonight. The only reason I'm disliking this figure is because his hair looks like the ultimate figure series ssj hair. Just one solid color. And it doesn't look so good. It does have SLIGHT shading but for the most part, the hair is not as nice as the original releases imo. I wouldn't mind the hair if it wasn't glossy, although if that's what they wanna do from now on, it's cool as long as they don't change their mind later on. I HATE the inconsistency this line has sometimes. Seeing as they're increasing the line's production, they've gotta cut corners somewhere, so that's probably why they opted for a simpler look than the more detailed shading of past figures. I hope we get some pictures of this figure at SDCC. I can live with the hair. As long as they're consistent with SSJ hair from now on, it looks fine. 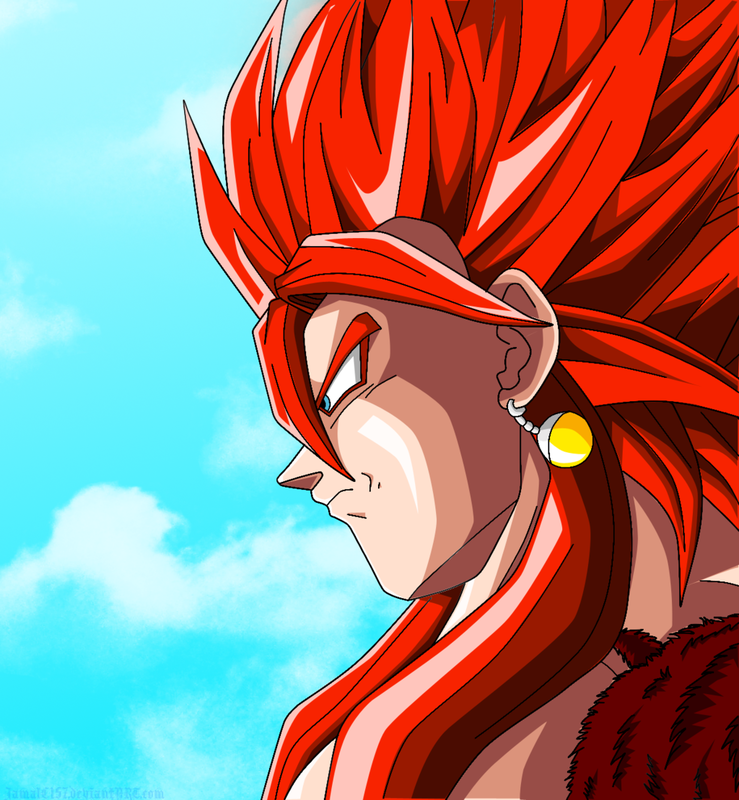 It does have light shading so at least it doesn't look terrible like Vegito's. Really liking the blue on this one, gives a nice BoG feel to it. If I were you I'd get this one. You can always sell it for more than you paid for whenever Majin Vegeta gets announced. That's the beauty of this line. Every figure you buy is guaranteed to increase in value. I always say, if you're on the fence just get the figure, since you have nothing to lose if you ever decide to sell it. You're right, especially since Vegeta is so popular. I would end up being happy to have both. I just grabbed a SS Gohan on an Ebay auction for $39 knowing that it will only get more valuable over the next few years (and $39 w/free shipping was the cheapest I could get him for now!). Gohan's value is one that won't actually go up. He's very likely to get re-issued several more times like Manga Piccolo and Goku. The price on Gohan will go up the longer he is OoP, just like Goku and Piccolo did.. then he will get reissued and reproduced and the price will drop again.